This post has been written and produced by Emilie Ens from Macquarie University, Sydney. 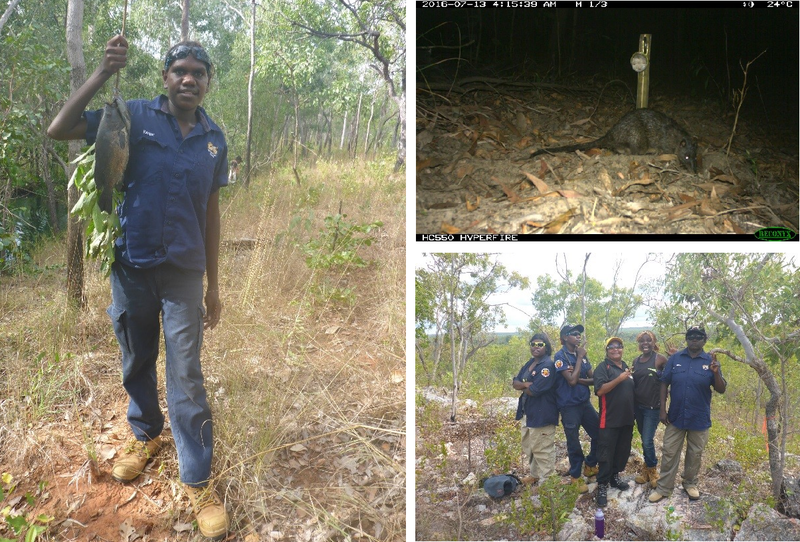 Over the last couple of years the ALA has been working with the Yugul Mangi Rangers and Macquarie University ecologists to build cross-cultural biodiversity knowledge of SE Arnhem Land. Additionally the collaboration has helped develop Indigenous content in the ALA website and raise awareness nationally, about Indigenous science and biodiversity management. The team has just published a paper called “Putting Indigenous Conservation Policy into practice delivers biodiversity and cultural benefits“. In July 2016, the team held a regional woman’s biodiversity and cultural knowledge sharing workshop at Ngilipitji in eastern Arnhem Land. Thirty five women attended from the three ranger groups in the region (Yugul Mangi Rangers from Ngukurr, Yirralka Rangers from Yirrkala and Numbirindi Rangers from Numbulwar) as well as the Ngukurr Yangbala (Young) Rangers. Ngilipitji was chosen as a mid-way point for the groups and because it lies close to the border of the Laynhapuy Indigenous Protected Area (managed by the Yirralka Rangers) and the proposed SE Arnhem Land Indigenous Protected Area (managed by the Yugul Mangi and Numbirindi Rangers under the Northern Land Council) and is considered a “shared management” zone. 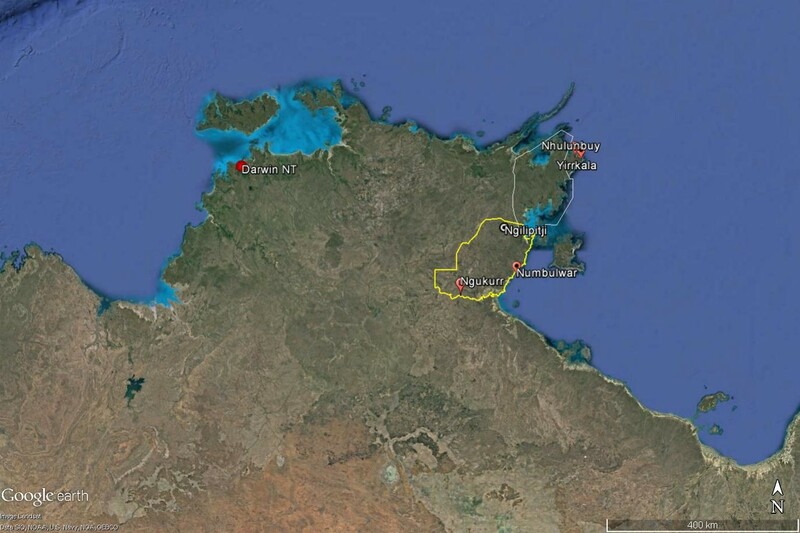 Cultural knowledge sharing workshops were held in Ngilipitji, Arnhem Land. The team conducted biodiversity surveys over three days and nights in an area that according to ALA data, had not been surveyed in the past. We set up 70 Elliot, 15 Cage, 6 Pitfall, 15 Funnel and 12 camera traps over three sites (Rocky hill, Bottom spring, Top spring) to detect mammals and reptiles. We conducted one night search around the outstation for geckoes, did plenty of fishing and made opportunistic sightings of species. Despite the remoteness of this Country, surprisingly we only found 4 skinks (Carlia munda, Cryptoblepharus metallicus), 5 geckoes (Gehyra australis, Heteronotia binoei), 2 water rats (Hydromys chrysogaster), 2 dingoes (Canis lupus dingo), 3 crows (Corvus orru), 8 Black Bream (Hephaestus fluiginosus) and freshwater crocodile’s (Crocodylus johnsoni) eyes shining at night in the creek. One feral cat, 2 cane toads and evidence of feral buffalo and pig were also seen. We found no frogs, small mammals, large reptiles or turtles. The lack of animal sightings was suggested as due to the weather being cold and at times windy and raining. However the presence of feral animals and possibility of past damaging late dry season wild fires were also discussed as possible causes. Left: Identifying geckoes using our local multilingual field guide; Right: Setting up Funnel traps at the rocky site. At each site we did plant collections, pressed specimens and are still processing and identifying the species. However about 50 species were recorded, all were commonly known. Some lively knowledge exchange occurred around the plant species. The common medicinal plant Eucalyptus tetrodonta was called bambuja by the SE Arnhem mob and gadayka by the NE Arnhem ladies. All grasses were called wiji in Marra, mulmu in Yolngu matha and notho in Ngandi languages. The large Acacias (Acacia auriculiformis and A. aulacocarpa) were described as dukul in Ngandi, Ritharrngu and Ngalakan (SE Arnhem languages) and dhurrtji in Yolngu matha (NE Arnhem). Despite being relatively close in proximity, there were clear differences in language words for plants between SE and NE Arnhem Land. Left: Maritza Roberts with catch of Black bream; Right top: Water rats caught on camera; Right bottom: Dana Gumbula, Maritza Roberts, Justine Rogers, Jane Hall and Megan Wilfred. In addition to exchange of language names and uses knowledge, senior Ngandi woman Cherry Wulumirr Daniels also facilitated cultural leadership and kinship discussions throughout the camp with her usual passion and command of everyone’s attention. On the last night, the Yirralka Rangers shared with everyone a cultural song and dance (manikay) about Ngilipitji that was recorded by their family members. They also taught the group a range of other songs and dances that often had environmental themes. This was followed by cultural performances and lessons from the Numbirindi Rangers and Ngukurr mob. Left: Pressing plants at Ngilipitji outstation; Right: Julie Roy taking photos of Kiefer Hall and Janita Russell collecting bush food plants. After the camp the Yirralka Rangers came to Ngukurr, many for the first time, and participated in an ALA workshop led by Rebecca Pirzl with input from Julie Roy, Yugul Mangi senior woman ranger. We downloaded the camera trap photos and shared all photos and videos with each other. Left: Cultural exchange by Yirralka Rangers; Right: Learning about the ALA back at Ngukurr. All the ladies had a fantastic time learning from each other and experiencing Country that many had never been to before. Although we only found a few animal species and common plant species, they were all significant records due to the lack of surveys in this area in the past. The knowledge exchange was deemed a success with annual exchanges and the need for more cross-cultural biodiversity surveys discussed. The Atlas of Living Australia acknowledges Australia’s Traditional Owners and pays respect to the past and present Elders of the nation’s Aboriginal and Torres Strait Islander communities. We honour and celebrate the spiritual, cultural and customary connections of Traditional Owners to country and the biodiversity that forms part of that country.